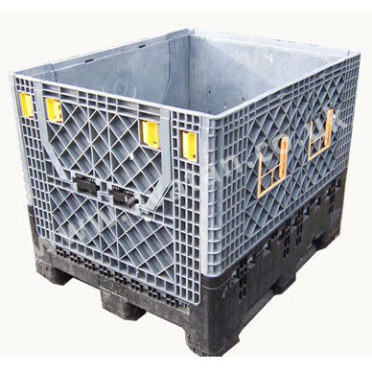 Used Plastic Container, ref W7021. 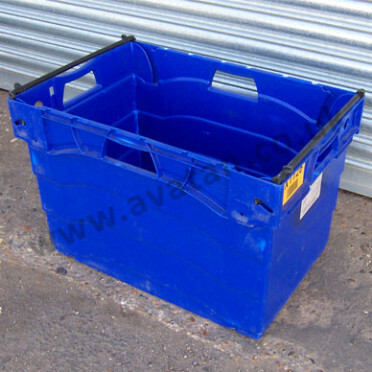 Stackable and nestable plastic container, in very good used condition. With vented sides and solid bottom. 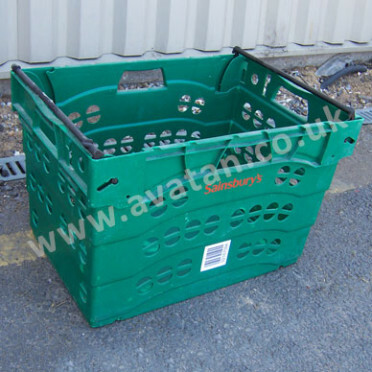 Fitted with bale arms for secure stacking. Colour green. Also available with solid sides in blue and vented sides in blue black and grey. (Printed Sainsburys). 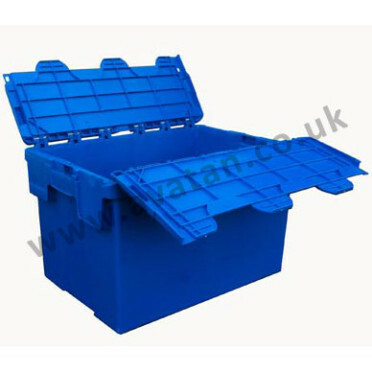 Internal dimensions 570mm x 370mm tapering down to 530mm x 330mm. Box weight 2.7kg. Other new and used sizes available. Please ask for details.